Delivery charges are based on single order. If delivery is unattended, delivery charge still applies. 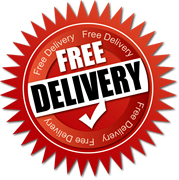 Free delivery is NOT applicable for order exceeding 2 kgs. Delivery charge as follows - THB1,500 / SGD65 / JPY7,000 / HKD150. Delivery Time: within 7 to 10 business days. A signature is required upon delivery. If no one is available to sign for the parcel, a notice will be left at your address notifying you of pick-up arrangements. PO Box is not accepted for delivery. The stock prices DO NOT include custom duties or charges. To cancel the order due to stock availability. We will notify you by email and will refund to your original payment account. Return the purchased item and the original receipt at Blackkiwi.Club store within 14 days of purchase. The item has not been used and is in original condition as purchased, including all packaging with original tags and labels attached. You can exchange your online order by posting back to us along with a copy of your receipt to our exchange address below. Please indicate the item you wish to exchange for and list credit card details for re-delivery, space to record these details is provided on the bottom of your online receipt. Please note that exchanges are subject to availability of goods, therefore please list alternative item(s) in case we have sold out of your first choice. Standard delivery charges apply, unless goods are exchanged in accordance with your statutory rights: eg, they are faulty or not as ordered. Unfortunately, items purchased online only be exchanged within MALAYSIA stores. Please note: all exchanges remain the responsibility of the purchaser until received by Blackiwi. We recommend you courier your package so you are able to track your parcel. Please do not re-use our courier bag. Make sure your name, address, phone number and instructions are included. Comments would be appreciated. We cannot accept any prepaid satchels, envelopes, cash or stamps for re-delivery purpose.